Right now, the California Public Utilities Commission (CPUC) is deciding what California’s electricity grid will look like far into the future: whether it will be truly “smart” and how environmental and consumer benefits will factor into the smart grid plans of state public utilities PG&E, San Diego Gas & Electric (SDG&E) and Southern California Edison (SCE). Environmental Defense Fund and numerous clean tech companies recently asked the CPUC to ensure that California’s smart grid delivers solid returns on consumers’ investments, since it is ultimately customers that pay for utilities’ infrastructure. Solid returns can be delivered by giving households and businesses information that allows them to tailor how much they use, thus lowering bills and emissions, and by enabling greater use of clean energy. Here’s a quick tutorial on how our electrical grid is evolving and why a smart grid is critical to cutting costs and emissions. dramatically reduced environmental impacts in the face of climate change and water scarcity. consumers empowered to see their daily energy use, shift it to times when electricity is cleaner and cheaper, and even to generate their own. While the grid is usually reliable, keeping the lights on can be challenging. Blackouts cost the U.S. economy $150 billion each year. The grid, centralized around big power plants, also faces security risks through cyber attacks that could bring our nation’s banking, communications, transportation and security systems to a standstill. Most importantly, the smart grid will shrink the environmental impact of our electricity use, which accounts for 25 percent of California’s carbon footprint. For example, a strategy called “demand response” can keep California from paying for new power plants. Demand response is used by utilities to alert customers that the price of electricity will be high during a certain time and asks them to reduce usage during that period. With more demand response, California could reduce peak production by almost 8,000 megawatts, which is equivalent to the output of 100-plus peak power plants. As customers shift usage from “peak” times—when demand and prices are highest—to “off-peak” times when demand and prices are lower, utilities can avoid firing up expensive — and dirty — fossil-fuel “peaker” plants. Most importantly, demand response can increase the amount of “intermittent” solar and wind power that can be supported on the grid. Demand kicks in when the renewable electricity is “on”, and gets cycled off when the wind stops or sun goes down, keeping the system in balance. Broad deployment of smart grid technologies – including smart meters – will make that moment-by-moment match between supply and demand possible on a much bigger scale. Smart meters will also provide customers with detailed information about their electricity consumption and rates, empowering them to cut costs and emissions by reducing use or shifting it to off-peak times. If just 5 percent of customers shift their use, the most expensive and polluting peak power plants will come online less often and prices for all customers will be substantially reduced, according to Peter Fox-Penner, author of Smart Power: Climate Change, the Smart Grid and the Future of Electric Utilities. 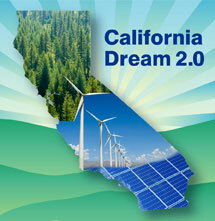 EDF will keep you up-to-date on smart grid and smart meter developments in California and welcomes your feedback.